I maintain that one of the best parts of digging through each week’s new releases is the frequency with which I’m surprised. I’ve written before about how I thought I was too jaded to be blindsided by games -- almost a decade in the industry will do that to you-- but the itch.io community consistently defies my expectations even when I expect to be surprised. This week we’ve got indie royalty, an indie chameleon, and an indie take on one of my favorite series that’s currently MIA. How do you follow up one of the most successful endless runners of all time? How do you follow that up? That’s the task set up for Runner 3, and one that it nails. 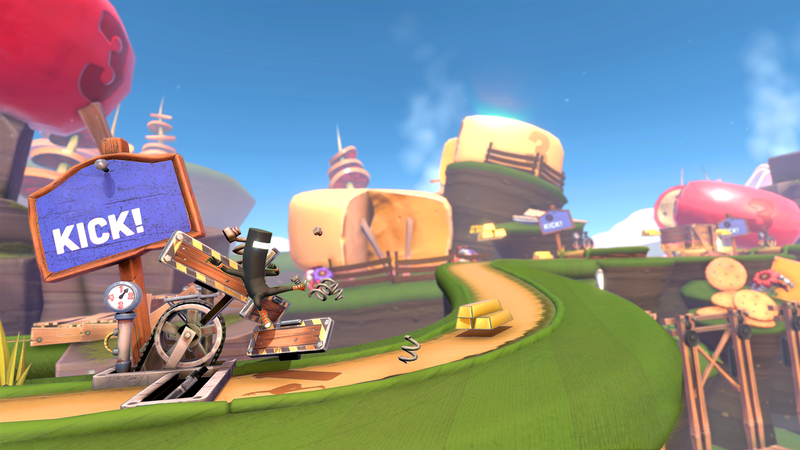 Runner 3 is the latest incarnation of the series started by 2010’s Bit.Trip Runner, and it shows a team that has matured over nearly a decade. While the first Runner had pixel art, chiptunes, and only a handful of levels, Runner 3 cranks this all the way up and loads the game to the brim with hundreds of levels and a surrealist art style that only makes sense in context. Runner 3 won’t be for everyone, the soundtrack is a mixed bag and the jokes won’t be to everyone’s taste but if you have any interest in endless runners or seeing the voice of Mario dodge floating spike bots Runner 3 is the best option around. Powerhoof is secretly one of the most interesting teams working in games right now. Fans of this blog might remember us talking about Sleepy Orphan Simulator, Morse Cod, or Crawl but Powerhoof is a team that somehow can’t stay in one genre. 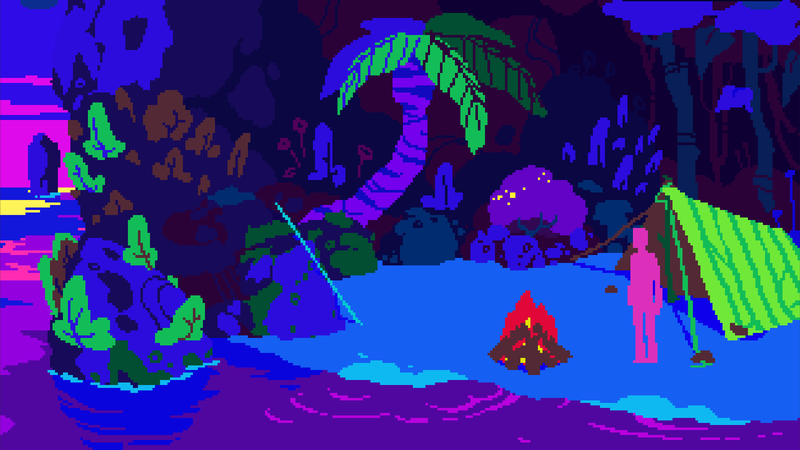 They’ve made wacky physics games, robotic basketball sims, and now a pulp point-and-click. Alluvium is somehow Powerhoof at both their most approachable and unexpected. The game starts with your character’s plane going down outside of Papua, and what follows is one of the strongest narratives I’ve played so far this year. There are twists and turns that I can’t talk about here but know that Alluvium is an adventure worth remembering. I love Advanced Wars and I want a new entry in Nintendo’s wargame series. It looks liek Ianplu is also tired of waiting as they took things into their own hands with Terra. If you’re familiar with the previously mentioned Advanced Wars series, you’ll be right at home in Terra’s futuristic colonial corporate warfare. 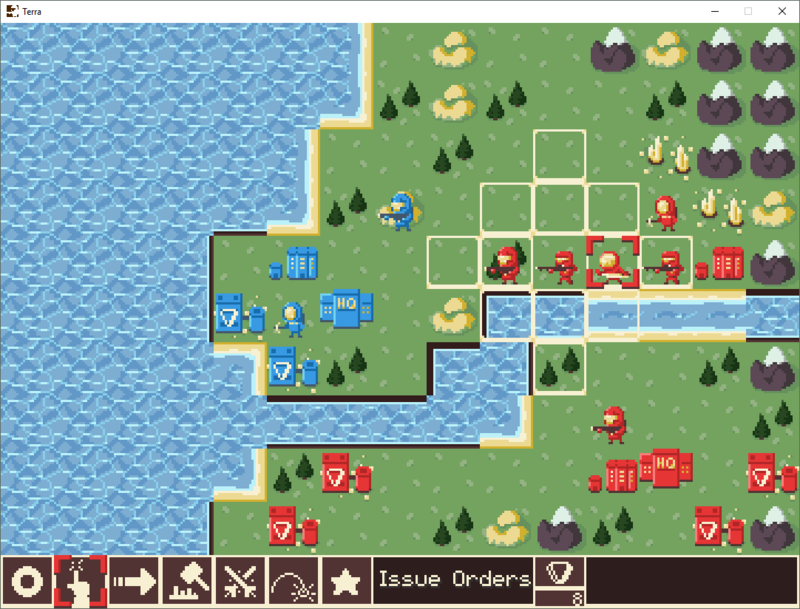 If you’re new to the tactical turn-based genre, you’re in for a treat. Terra is a game of building units to either expand your territory or defend it against other corporations. It’s a fairly simple set up, but one that finds its stride in the execution of its limited palette of interactions. Terra is a great intro to the genre, and for its $0.00 price tag you can’t go wrong.